Artichokes are easy and the perfect food when trying to lose weight. They take so long to eat and are delicious! I wrapped this artichoke in plastic wrap and put it in the microwave for 5 minutes (maybe 4.5 minutes would have been better) and then I let it sit on the counter for an equal amount of time still in its plastic wrap. I ate it with some lemon, salt, and faux butter spray. You can eat the stem too after peeling the outer layer off. It tastes like the heart. BTW an easy way to attack the choke is with a grapefruit spoon with a serrated edge. 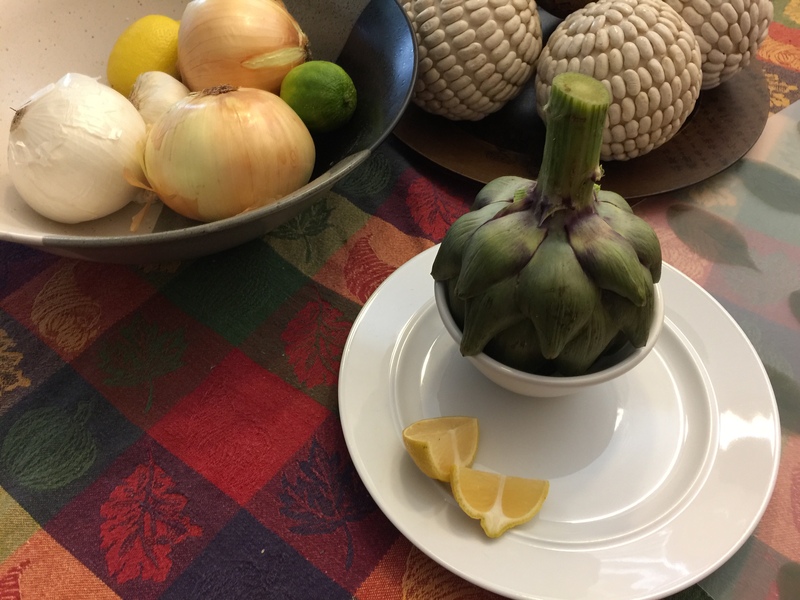 This entry was posted in Healthy tips, Kitchen tips, Vegan, Vegetables, Vegetarian and tagged artichokes. Bookmark the permalink.